The worst thing the NME – or indeed any music paper – could do in my teenage eyes in the late 1980s was to put a band I’d never heard of on their front cover and tell me they were the next big thing. Giving this act a run for its money in the things-most-likely-to-put-Johny-off stakes was heralding a band to be ‘the next The Smiths’. 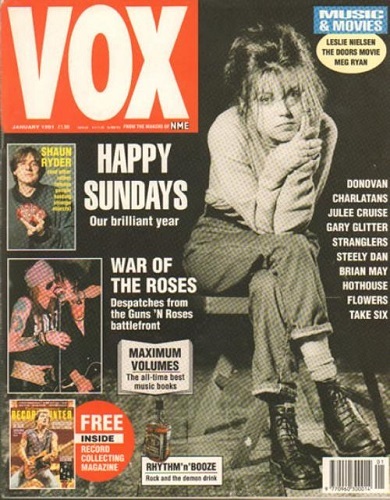 Both fates befell The Sundays in 1989, so it was perhaps something of a surprise when I came to the conclusion that they had written perhaps the most perfect pop song of all time. A few years ago I thought I could be a writer. The end result was a long ramble that began with an exploration of how I discovered joy in alternative music, the realisation that in all the time I had been writing my own songs I had been trying to create the perfect pop song, a consideration of what the constituent parts of the perfect pop song might be before landing on one song: Can’t Be Sure. This song had everything – melody, a beautiful voice behind subtle lyrical wit (“England my country, the home of the free; such miserable weather”), a traditional band structure of guitar, bass and drums, an honest and straightforward production that made the band on record sound exactly how they could sound live, singalongability … Quite how the song never made it to number one across the entire world puzzles me. Maybe it had something to do with the NME and its ilk? In their initial months I managed to avoid The Sundays without actually doing anything. They were not exactly forcing their way onto every media outlet available. This I would later appreciate as part of their charm and wonder why so many other bands could not be as unpretentious as them. I was eventually seduced by the band through the song Joy, which was played to me along with the rest of side two of one or another alternative music compilation tapes a friend had borrowed from his local library. 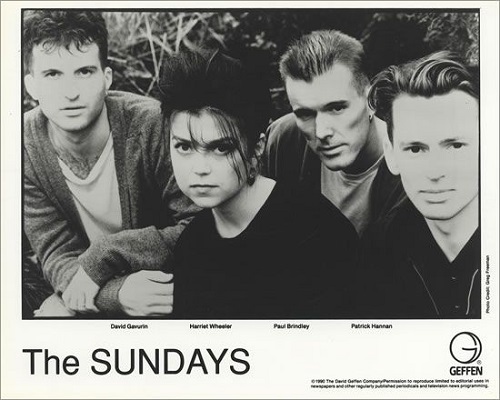 The Sundays’ contribution stood out because it was unlike any other song; it was quiet, understated yet determined and, quite frankly, sounded honest. There was no pretence here, no posturing, no flirting with the latest musical fad or technology. Just simple, tuneful pop music. 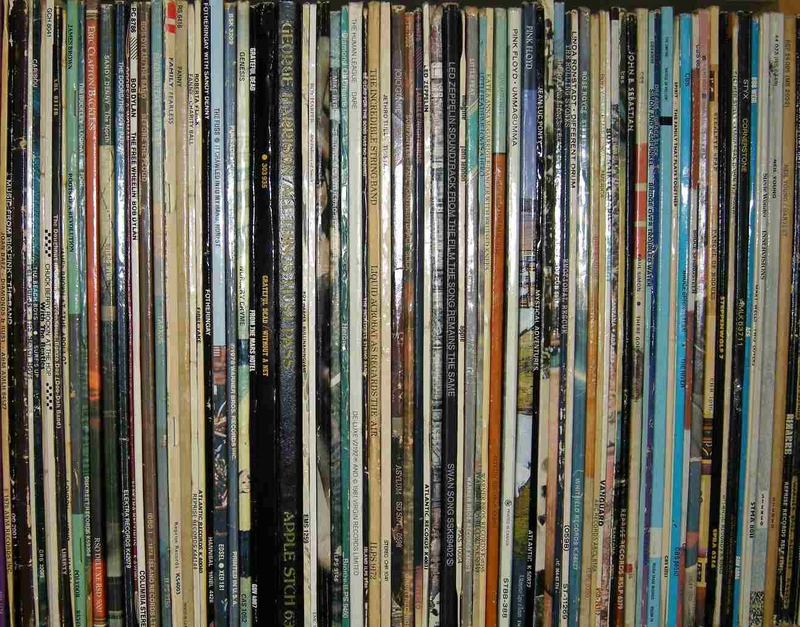 Upon swallowing my prejudicial pride and buying Reading, Writing And Arithmetic, the album upon which both Can’t Be Sure and Joy appear, I realised my folly and found a collection of songs that made everything all right with the world. David Gavurin strummed an acoustic guitar and sometimes layered an electric arpeggio or gentle riff over the top of it. The bass guitar of Paul Brindley laid foundations upon which the subtleties of guitar chords could twist and turn whilst Patrick Hannan drummed as a drummer should: keeping a rhythm and tempo rather than trying to outshine the rest of his band mates. And Harriet Wheeler’s voice … well, sometimes there are no words to describe things of such beauty. The song I found showcasing all of these best, came close to the end of the long-player, and if it wasn’t Can’t Be Sure that was the band’s finest hour then My Finest Hour would quite possibly be a contender. The outro, just acoustic guitar and meandering vocal, takes the song to another plane, with the added confidence of continuing where others may have finished without once threatening to overstay its welcome. It is magical. It is commonplace enough for a band to struggle with the follow-up to a debut album, so The Sundays had done themselves few favours by coming up with such an impressive set of songs on their first long player. Not only did they now have the pressure of time to write and record their second set (the new home of major label Parlophone would surely have wanted something to show for their investment sooner rather than later and expectation from media and fanbase alike would have been tangible) they also had the task of building on what was already a fine – if relatively few in number – catalogue of songs. The first taste of what was to come was the single Goodbye. It did not disappoint. Indeed, it was a close-run thing that all three tracks comprising the CD and 12″ versions of the single did not make this Toppermost. The single itself carried on where the band had left off a couple of years previously, with the only noticeable difference being a prevalence of chorused electric guitar in lieu of the more acoustic feel of earlier recordings. The rhythm section of the band continue to work as a well-oiled back four would work in a title-winning football team, and Harriet’s voice once more takes the listener to a place where others can only dream of. And when the bridge appears out of nowhere, with Harriet bemoaning that “it’s not fair”, the song is made. It is credit to The Sundays that the B-sides to this single are unwavering in their quality. Noise begins with clanging, reverberated guitars before hushed and at times barely decipherable lyrics breathe in, before the band provide their interpretation of the Rolling Stones’ classic Wild Horses. Here, The Sundays achieve that rarest of feats; making their own version even better than the original. Subsequently showcased in the film Fear as well as in TV shows including Buffy The Vampire Slayer, their version of Wild Horses takes everything that is good about the original and enhances it with a subtle magic that only Gavurin and Wheeler can conjure. The Sunday’s second album, Blind, was not long in following the single. It is also a fine piece of work in its own right and, taken on its own merits, would probably rank higher in musical history than it does, instead of being somewhat forced into the shadows of that excellent debut. The pick of the tracks by a short nose is God Made Me, a song that would sit easily within Reading, Writing And Arithmetic but yet stands up for itself with its gentle lyrical self-deprecation and perfectly-formed musical structure. It would be another five years before we heard from The Sundays again. Gavurin and Wheeler, never the most prolific of writers as they confessed themselves, compounded their dawdling by having children, a circumstance which makes their ability to write and record anything, let alone an album, in those five years quite something. But write and record an album they did, largely but not exclusively in the comfort of their own home, and Static & Silence managed to take the best bits of both its predecessors and turn them into a third excellent album. Opening track and first single Summertime remains as cheery and appropriately seasonal song that you will ever have the good fortune to hear. Managing to combine a deceptive musical simplicity, effortless composition and lyrics that capture yearning, romance and hope in one fell swoop, Summertime served to allay any fears that may have lingered that, after the hiatus, The Sundays may not have been able to capture their former glories. Whereas Blind built upon Reading, Writing And Arithmetic with an electrification of previously acoustic guitars, Static & Silence brought with it the introduction of a wider range of instruments to complement the sound. That is not to say the album is drowned in orchestral production, far from it; the subtle accompaniment of strings here and a flute there bring greater texture to already well-flavoured songwriting. On When I’m Thinking About You it is a hauntingly effective simple piano line that provides the icing on a cake comprised of gentle acoustic swing, beautifully melancholic vocal harmonies and lyrics that could be written for anyone but are, let’s face it, most definitely written for you. The penultimate place in this Toppermost goes to a song which features (I suspect) that rarest of qualities in a Sundays song: humour. That is not to say that the band’s canon is humourless, far from it. It just isn’t always that obvious. I recently learned that the title of The Sunday’s first album was a pun-ish nod to their home town of Reading. Like I say, it’s not overt. However, within Your Eyes is a line that made me laugh (well, ok, smile to myself) on first hearing and has done to this day: “You tell me now I’m young and wild/you spare the rod and spoil the child/I’d love to stay but I think I’m off to Japan”. Even taking into account the chaos and confusion a young family can bring, surely there cannot be a single person who would be unsure about such a huge imminent intercontinental trip? Or maybe it is just me. Anyway, even without this diversion Your Eyes is a magnificent song, complete with a flute outro that seems to have been borrowed from outtakes of The Beatles’ You’ve Got To Hide Your Love Away. Lovely article. I’m not sure they’re perfect, but I thought them excellent. So maybe I’m just being tough.